Responsive, mobile-friendly website. Content creation and copywriting. 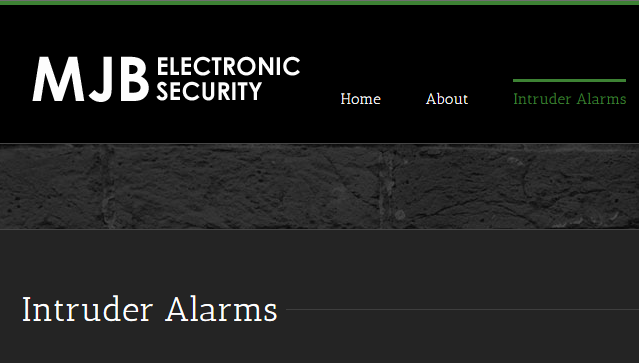 MJB Electronic Security provide professional security solutions for domestic and commercial premises, including intruder alarms, CCTV installations, fire alarms and access control systems. 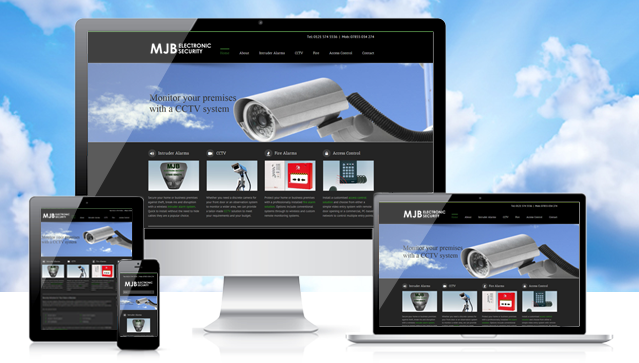 Using MJB’s existing branding, we delivered a clean, uncluttered design built around a mobile-friendly, content management system. 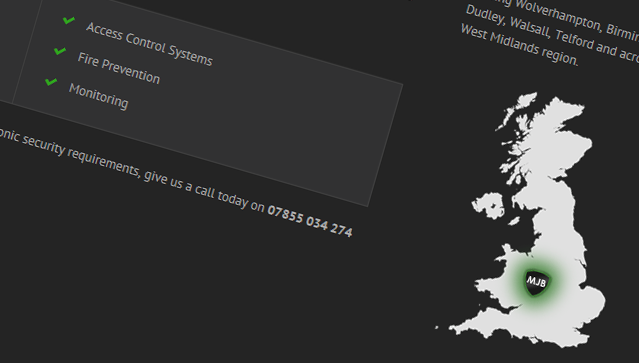 The website includes features such as slideshows and calls to action to highlight MJB’s services and to direct visitors to key areas within the site in order to generate enquiries for the business. 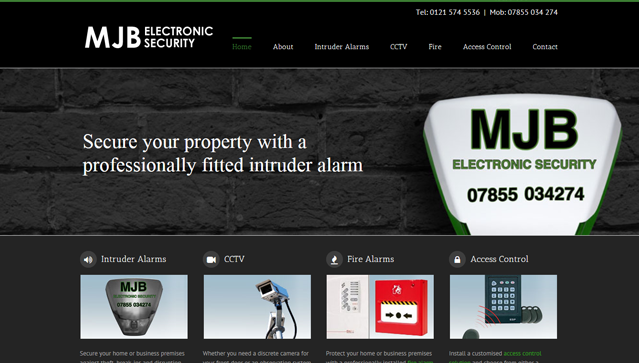 Additionally, we produced all copy for the website, developing informative content that showcases the various features and benefits of the company’s services from a customer perspective whilst also demonstrating MJB’s expertise in this field.